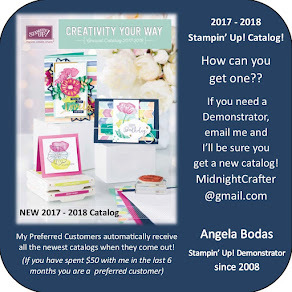 One of the best parts of being a Stampin' Up! Demonstrator is getting together with people who love crafting and card making as much as you do. The fun & friendships are so special! I spent Sunday stampin' the day away with my fellow demonstrators at a Shoe-box Swap. 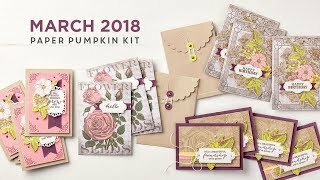 A shoe-box swap is an event where we each choose a stamp set from the newest catalog, and design a project to share with each other at the swap. We then prepare enough supplies - card stock & embellishments - for each person attending to make the card themselves. In your shoe-box you include the stamps, ink, and the card supplies, and at the event we pass the boxes around and get a chance to try out many of the new sets and supplies, as well as see the creativity of our team and try some new techniques! Here are some of the cards we made using sets and supplies from the Occasions Catalog and Sale-A-Bration items.